I have been exploring different aspects of where we see religion in science fiction, or the lack thereof. I looked first at how aliens as a thing are actually problematic with religion, because if they don’t know any of our religions, do they disprove them? I also looked how the underlying idea of intelligent design – that is, the idea of an intelligent designer – is very science fiction, and science fiction actually shows ways that this could have happened. Well, I showed one way. From the Hitchhiker’s Guide to the Galaxy. But that’s a parody, comedy novel, right? No bearing on other things. Certainly not a proof. Certainly not, like, a plot we would see all over the place, right? Well, you’ve guessed it, that’s the point of today’s post. 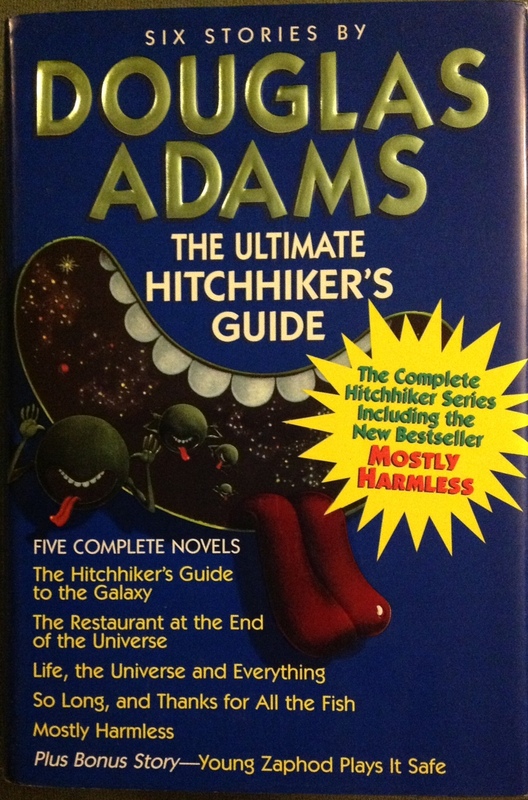 Because the Hitchhiker’s Guide to the Galaxy is not only not alone, but it’s actually kind of crowded. It’s a good parody because there’s so much to compare it to. So let’s look a bit at an incredibly common part of science fiction storytelling: the Ancient Alien Creator Race! 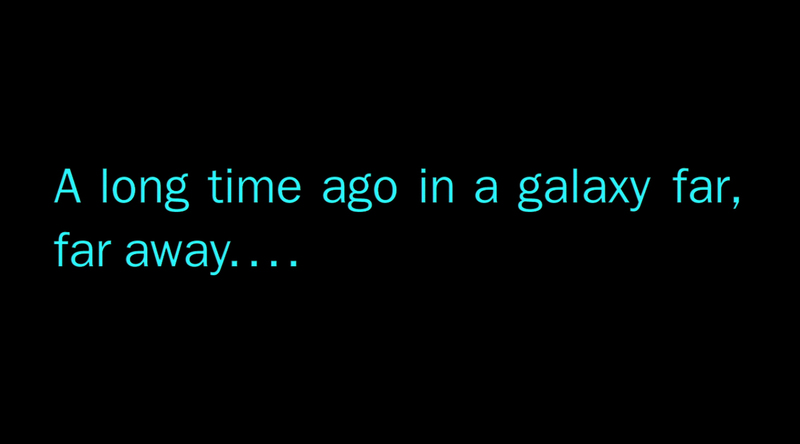 Warning: spoilers to follow for much of big name science fiction, and even some of fantasy! Alright, so what am I really talking about? And why am I calling this Science Fiction and Religion? Why do we care? I say let’s start with another example, beyond the Hitchhiker’s Guide to the Galaxy. 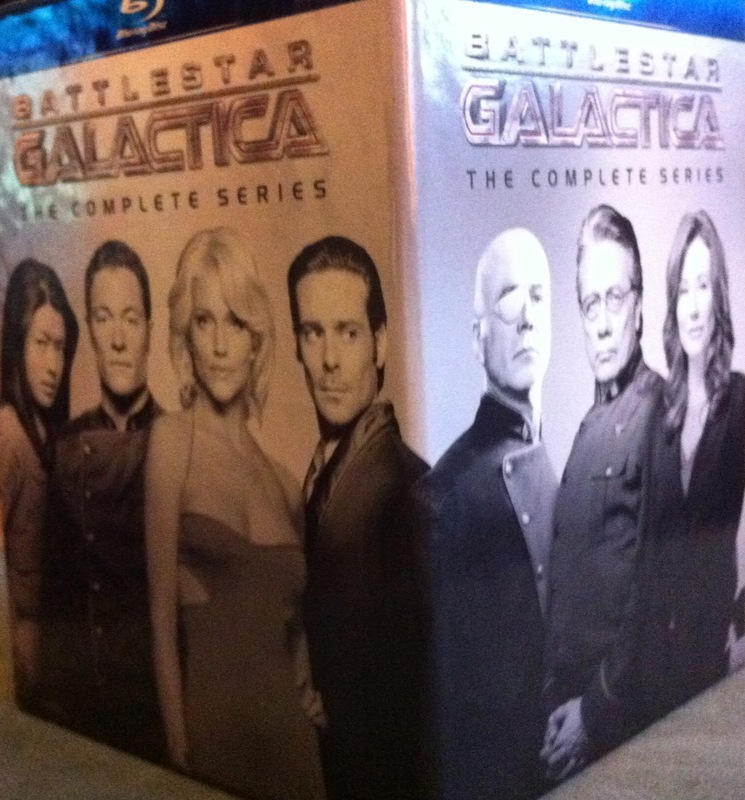 How about Battlestar Galactica? Because here they have a language of it, discuss it as religion, and we see this plot for what it is. “Life here began out there.” They search throughout the series for an ancient, prophesied world, for Earth. Finally getting there by the end, they show up just in time for me to compare them to the Hitchhiker’s Guide to the Galaxy (well, Restaurant at the End of the Universe) – showing up on primitive Earth, to become the progenitors of modern humans. So, I use the term “alien” loosely, though often it is alien (and in Battlestar Galactica, they both are and aren’t aliens – humans from another planet). But it is about there being a science fiction universe that existed before the current one, about there being advanced technology, advanced species, and it all came to an end. Generally, it died completely and is unknown now. Generally, it created the current world as well, was the progenitors of humanity. Here is where religion is pulled in. Because I have made the points before, that science fiction seems to often leave religion out, or consider it disproven. However, then this plot sneaks in, again and again, as a new explanation of creation. Suddenly aliens are standing in for gods, either by arriving on Earth and surviving, or by actually creating the humans. Then, all of a sudden, there is still a question of what religion existed in the old world (a question answered at least in BSG, if not necessarily in other science fiction), even if it is then lost in society dying out. However, the result is that it generally ends up as a deist sort of situation: a clockmaker universe, created and left alone. There were creators, but they are gone. There was technology, but it has fallen. If one of the things science fiction does is allow for worlds without religion, why are the writers adding in all of the elements of religion? Creation, myths, old, unknown secrets? Maybe science fiction and religion aren’t so far apart after all. Apparently this guy is important enough to be the cover image? I think I also mentioned in my post on the Hitchhiker’s Guide, but we recently got a movie where a major plot-point was that there was an ancient alien race that, through crazy science, apparently caused life on Earth? Oh, and also created the Aliens aliens, so that was a terrible idea. 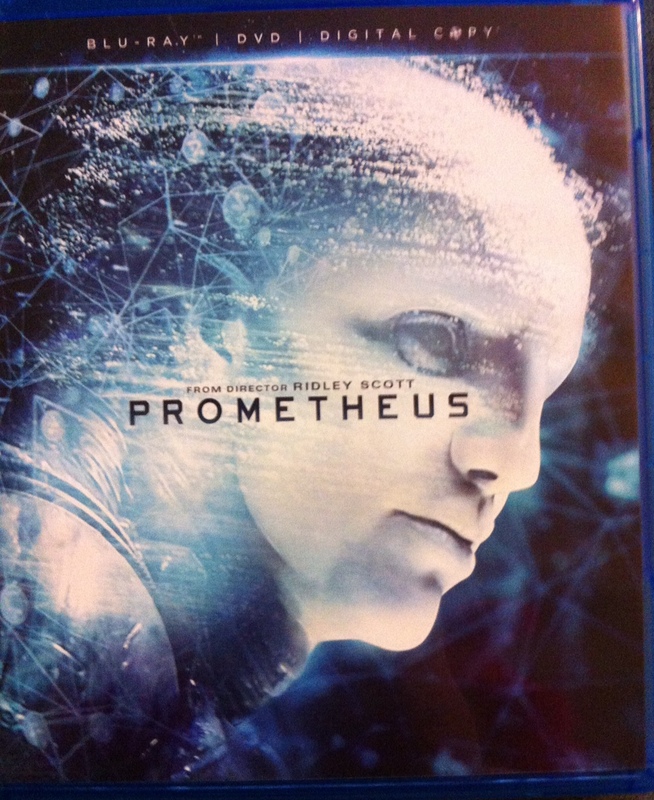 Oh, Prometheus. It was presented so seriously that it was like, oh, really, we’re created by these aliens? Very much so feeling like a religious sort of proposal: a faith statement. There’s a lot of faith in this movie, as they believe that they understand messages from the aliens, or really anything at all that’s going on. Because things go badly in this movie. So, okay, let’s go elsewhere. Like, how about Star Trek? The universe where Klingons, too, read Shakespeare – in the original Klingon, of course. That’s apparently because they were all created by the Preservers, who went around the universe, Prometheus-like, seeding life. Creating, and letting them grow. Like the others in science fiction, it’s something of a clockwork creator, creating and leaving the worlds alone. They’re mostly gone, but there’s various sightings in the various media that make up Star Trek. Superhero comics, adjacent to science fiction, certainly also have a plot like this. There are even ancient cosmic beings, and it is sometimes less of a clockmaker situation. But the Celestials seem to have created. But what about before, or beyond them? 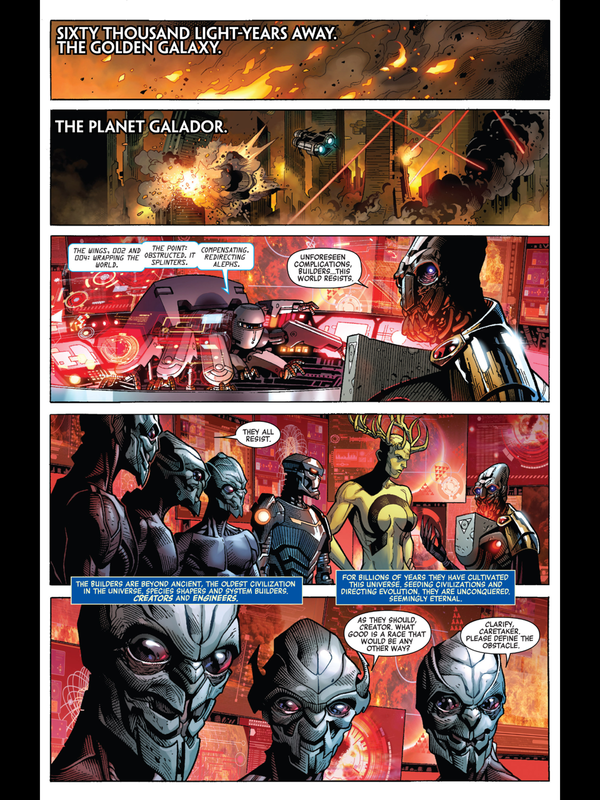 This is a plot heavily explored recently, in the heavily science-fiction work of Jonathan Hickman, who in Avengers and New Avengers is exploring the creation story of the entire Marvel multiverse. So this plot is being explored as recently as right now – even now, the Avengers are flying out into space to combat the Builders (universal creators?) in the Infinity event. From Infinity #1, released all of this past Wednesday. Our introduction to actually seeing the Builders. From here, the list I would give diverges into fantasy a bit, only because there are fantasy worlds that find their roots in science fictions. If this doesn’t sound like something you’ve heard of before, maybe move on to the next section? Because definitely spoilers. Here, I’ll give you a second. Because this is so much of a thing, that in the Warhammer universe, it is not necessarily known, but constantly discussed, about which comes first – 40K, or Fantasy. Did the 40K, space-battles universe happen first, and then the Fantasy universe happens after? It could happen either way, but like in so many plots, does it actually matter? I tell you to watch out for spoilers, then give you pictures. The nerve. 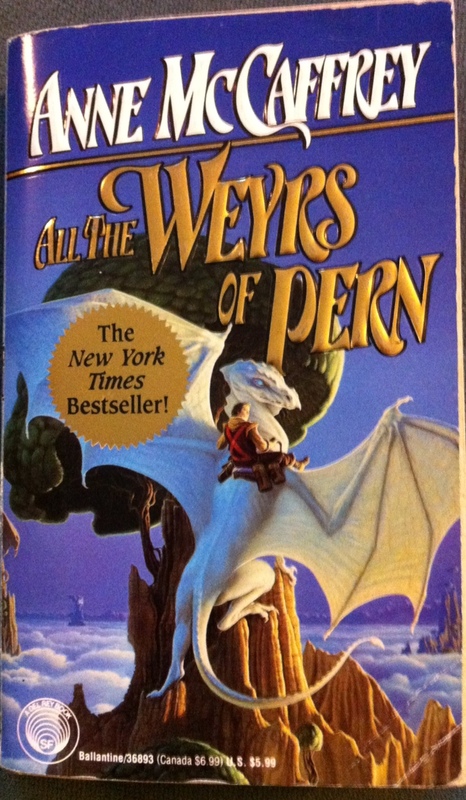 There are a few major fantasy worlds that work just like Battlestar Galactica, where “Life Here Begins Out There.” One is Anne McCaffrey’s Dragonriders of Pern… I hit this point when reading All the Weyrs of Pern, which was also the last of these books I read. Because all of a sudden, a world which had already had alien invaders (basically, with the thread) turned out to also be a failed colony world, and I just… well, I was done. My favorite character died too, so that’s part of it. But the world suddenly became the fallout of a science fiction universe, and everything changed. Or how about one of the great long series of fantasy? 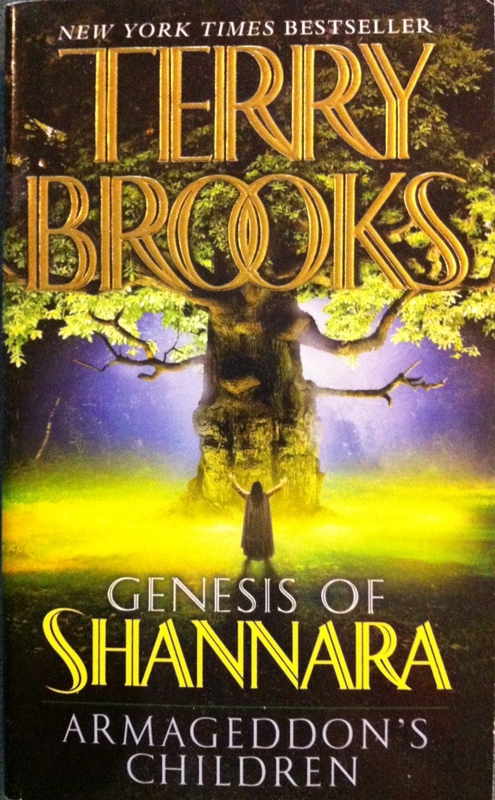 Terry’s Brooks’ epic, the Sword of Shannara. I was really surprised to find the old technology and the old world creeping into this world. They may not have started in space, I dunno, haven’t read enough of the series. But they are also the fallout of a science fiction world, no question of it. A friend even got me the first in the series about what looks to be the Sword of Shannara apocalypse story, back in the world’s history. And if we’re going to talk about old, evil technology still hanging around causing trouble, I have to throw in Stephen King’s Dark Tower. This genre-bending, multiverse-exploring romp through space and time has a central world, home of the Dark Tower, which had all sorts of technology “before the world moved on.” Now, things like robots (and all sorts of products of North Central Positronics) are left behind, or weapons like the Harry-Potter-inspired Sneetches, which are basically Golden Snitch throwing grenades. The world used to be full of all of these things, but it all passed away, and what’s left is a fraying reality. Not quite the same as the rest of these plots, I suppose, but still, for a story designed to be somewhat meta and to explore the epic journey sort of narrative, the fact that King felt compelled to have ancient, decaying technology be part of the world is telling. So often, the Ancient Alien Race becomes a back-story, or a religious sort of experience/replacement, or the plot for an episode or a book but not anything major. It is part of fleshing out the world, or explaining things away. It is a chance for a new author to the world – like with the myriad Star Trek, Star Wars, or Marvel experiences – to explore deeper into the world. Or it’s part of a big reveal to the plot, something that has been hidden or hinted at, both for the reader and characters, and which comes to light. But sometimes, the heart of the plot, the driving force, is this Ancient Alien Race. Because sometimes, they’re not dead. They were just lying in wait. Sometimes we weren’t created by the aliens, so much as we were allowed to live. Sometimes, it’s Mass Effect. 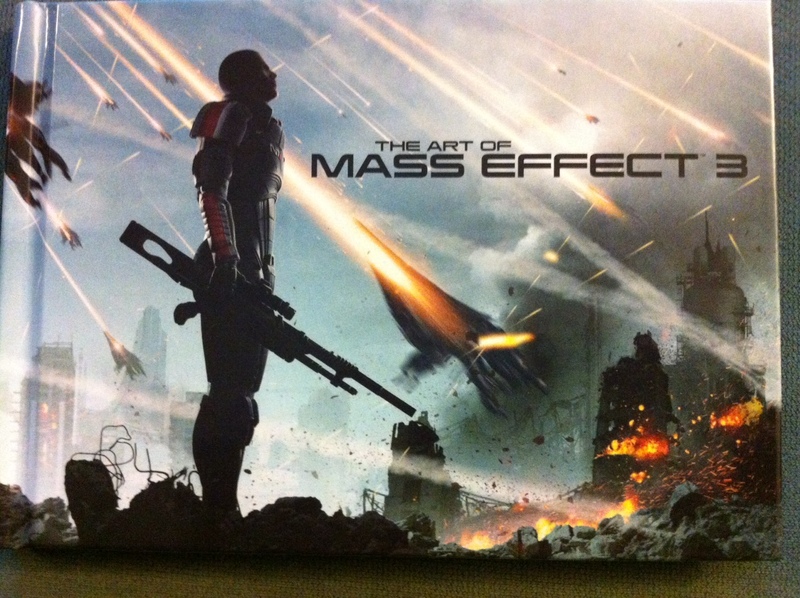 Alright, Mass Effect has gotten a lot of heat, and left a bad taste in a lot of mouths, after Mass Effect 3. So let’s not talk about that, or about the end. Let’s just think about the Reapers. An ancient, bio-technical race that might make the Borg pause, the Reapers come back every 50,000 years, gobble up the advanced races, and absorb their biological and technological distinctiveness to their own. As Holly put it, they are using time and evolution like a computer, coming up with adaptations for them, to advance themselves. Basically, through piracy. In the first game, you get to play the chilling discovery tale, as you slowly find out about the existence of the Reapers. First, everyone knows about the believed Ancient Alien Race, the Protheans. They died out, mysteriously, 50,000 years earlier, leaving behind technological wonders. Especially, the Mass Effect Relays, and the Citadel. Wonders of modern sci-fi civilization, these are the main hub of government and means of transport. Even watch-stations from this Ancient Alien Race are found, showing they may have helped seed life, or cultivate it, or protect it. Except then we find out, wait, there’s something older, and it made (or left) the Relays, and it made (or left) the Citadel. And they are meant to be found, and meant to be used – because then, the worlds that are advanced show who they are, and that they exist, and then they are vulnerable. They don’t bother finding their own means of transport, their own hyperspace or warp drive or FTL. They use the Mass Effect Relays. We grow advanced, but also complacent. Meaning things stagnate, and the Reapers show up. They gobble up the advanced societies, which they can find through the Mass Effect Relays, and they destroy galactic civilization. At least, for another 50,000 years. And the cycle continues. So, you reach the end of Mass Effect kind of horrified. We get to Mass Effect 2, and they have to top that. It is here that we learn they not only show up and kill, and maybe take the technology, but they also take people. Take them, and transform them. Breaking down their biology into bits, and making giant robot spaceships. Making more Reapers. Not okay. Mass Effect 2, while incredibly playable, does not have nearly the amount of plot as Mass Effect, because the biggest reveals have already been done. Now we’re actively fighting to save the universe. Though there is one DLC where you get to find out that there is no escape from this system: destroying a Mass Effect Relay destroys the whole solar system that it’s sitting in. So not a good escape tactic. They also explore the idea of wanting to come up with independent faster-than-light travel, but there’s just not enough time to invent something like that. Not with cosmic cyborg killer spaceships coming to get you. So then we get to Mass Effect 3, and it gets complicated more, and more spiritual. There’s thoughts of mind control, or indoctrination, and so there is the question of faith in reality, in one’s self. There’s also the exploration of the purpose of the cycle, of the Reapers – thought of their actual creation, of what put them into motion. This delves into the murky ending to the game, but still, it is worth mentioning that it gets very much into what the purpose of life is, of creation, evolution, civilization, death… it is very science fiction, but also somewhat religious. We also, with a DLC, get to meet a Prothean, who has been in suspended animation all of this time. They created interactions for him with all of the crew, to explore how he would react to the various species – to what were the primitive species of his day. We get to see the presumed Ancient Alien Race in action, and they were kind of a slave-keeping race… or just heavily controlling? They were a galactic empire of many alien races, all under a main race. A complicated, and different, society, and a very science-fictional way to juxtapose how “our world” (okay, a fictional future for our world) is different from an “alien world”. And we find out that the believed super-advanced race was really very problematic and not as noble and certainly not the creators. So it’s kind of a let down and depressing – but would it be so with all of the other ancient societies in the other science fiction worlds I’ve explored? After all, I’m not too happy or impressed with the Promethean/Prometheus creator guys, or the Builders in Jonathan Hickman’s Avengers, or many of these others. So in the end, maybe these are a way to hold a giant mirror up to religion, to say, these are the sorts of ways that a creator might be, and they are imperfect, and we find them lacking. By defining what the imperfect creators look like, do we get a better image of what a perfect creator would look like – what a perfect creator would have to be like? This entry was posted in Books, Comics, Fantasy, Meta, Movies, Science Fiction, Science Fiction and Religion, TV Shows, Video Games and tagged Ancient Alien Race, Avengers, Avengers: Infinity, Battlestar Galactica, Earth, Hitchhiker's Guide to the Galaxy, Jonathan Hickman, KotOR, Marvel, Marvel Infinity, Mass Effect, Mass Effect 2, Mass Effect 3, New Avengers, Protheans, Reapers, Star Trek, Star Wars, The Dark Tower, The Dragonriders of Pern, The Sword of Shannara, Warhammer. Bookmark the permalink.